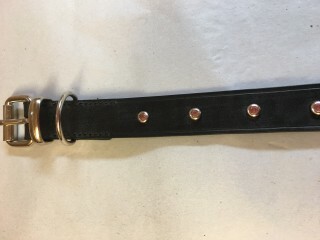 A robust collar hand crafted from the finest of English Bridle leathers. 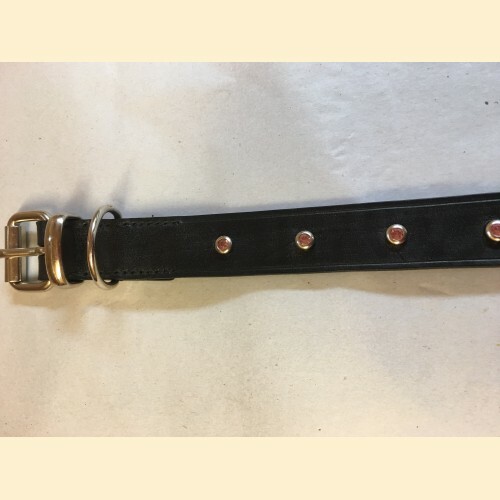 Available with brass or stainless steel roller buckle, keeper and D ring, these collars are built to last. Hand stitched using saddlers double handed traditional methods with waxed thread. Featuring lovely pink crystal studs.